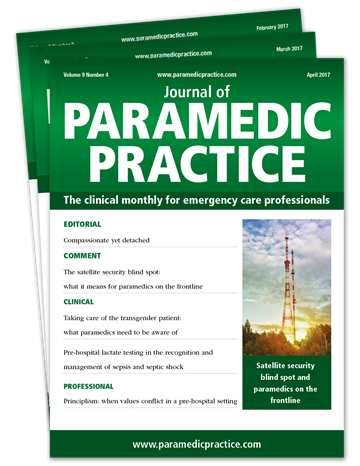 Journal of Paramedic Practice (JPP) is the monthly journal delivering best practice and professional development in emergency care. 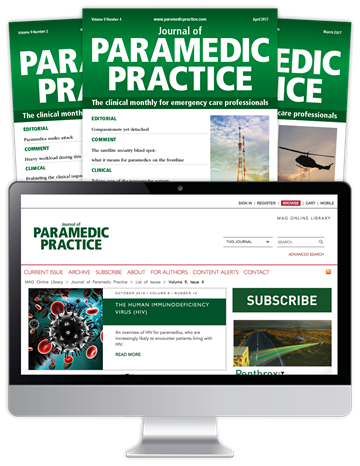 We provide paramedics with up-to-date clinical reviews, practical information, and an online CPD programme - all key to unlocking your full potential. 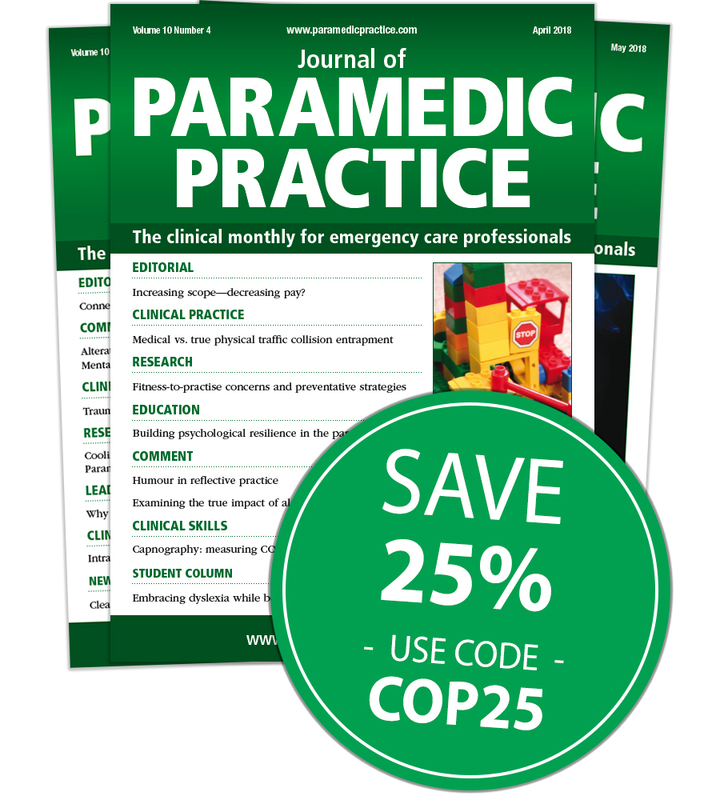 All members of the College of Paramedics are entitled to a 25% discount when they subscribe. Select the appropriate subscription option below, and quote code COP25 at the checkout to save up to £58 per year. 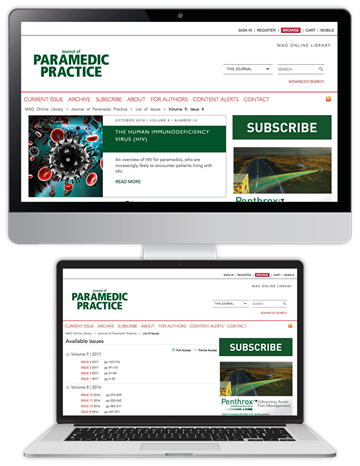 *Please note: Access to JPP's CPD platform is only available through a Website or Print + Website subscription.